It was thought that no bronzes by Michelangelo had survived - now experts believe they have found not one, but two - with a tiny detail in a 500-year-old drawing providing vital evidence. They are naked, beautiful, muscular and ride triumphantly on two ferocious panthers. 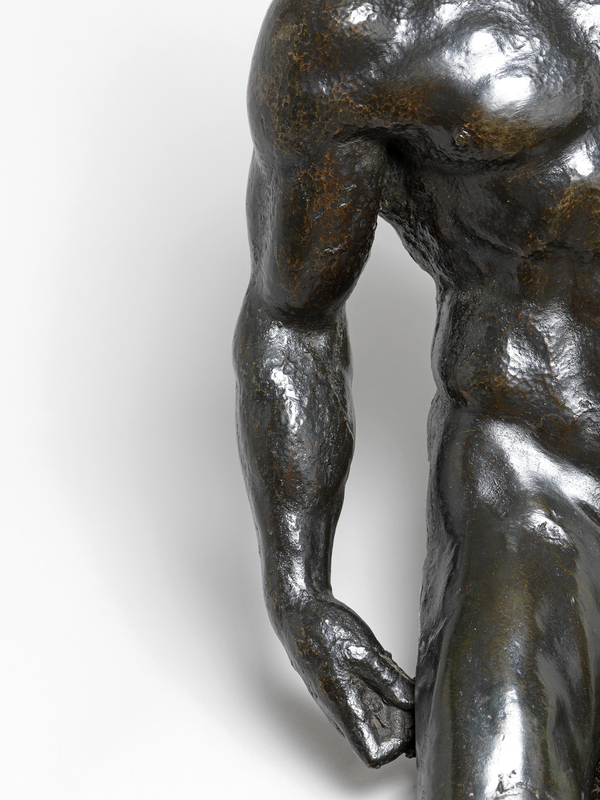 And now the secret of who created these magnificent metre-high bronze male nudes could well be solved. A team of international experts led by the University of Cambridge and Fitzwilliam Museum has gathered compelling evidence that argues that these masterpieces, which have spent over a century in relative obscurity, are early works by Michelangelo, made just after he completed the marble David and as he was about to embark on the Sistine Chapel ceiling. If the attribution is correct, they are the only surviving Michelangelo bronzes in the world. They are a non-matching pair, one figure older and lithe, the other young and athletic. Long admired for the beauty of their anatomy and powerful expressions, their first recorded attribution was to Michelangelo when they appeared in the collection of Adolphe de Rothschild in the 19th century. But, since they are undocumented and unsigned, this attribution was dismissed and over the last 120 years, the bronzes have been attributed to various other talented sculptors. 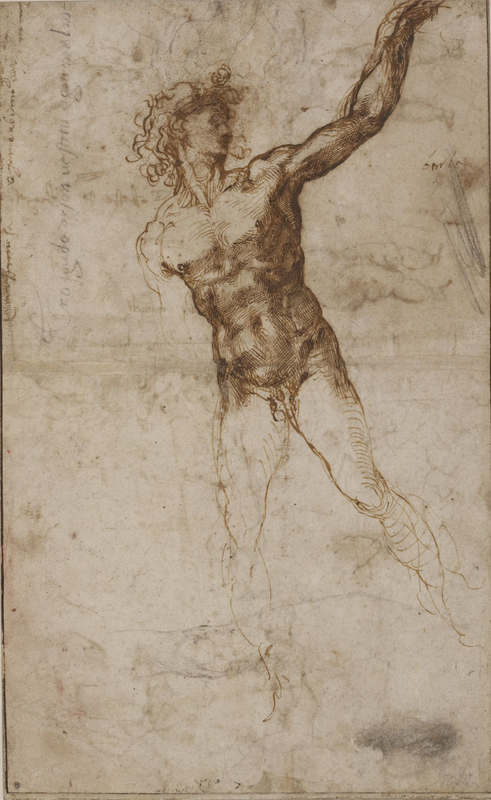 That changed last autumn when Prof Paul Joannides, Emeritus Professor of Art History at the University of Cambridge, connected them to a drawing by one of Michelangelo’s apprentices now in the Musée Fabre, Montpellier, France. A Sheet of studies with Virgin embracing Infant Jesus, c.1508, is a student’s faithful copy of various slightly earlier lost sketches by Michelangelo. 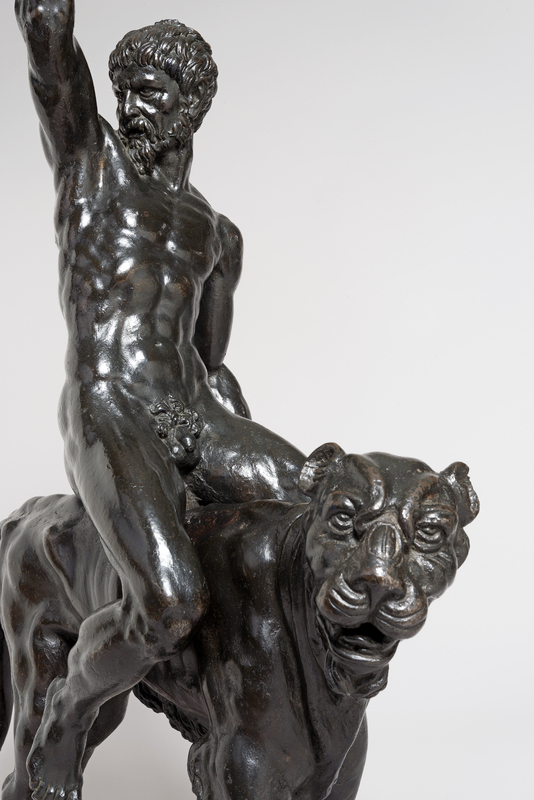 In one corner is a composition of a muscular youth riding a panther, which is very similar in pose to the bronzes, and drawn in the abrupt, forceful manner that Michelangelo employed in designs for sculpture. This suggests that Michelangelo was working up this very unusual theme for a work in three dimensions. This revelation triggered further art-historical research with input from a number of international experts. 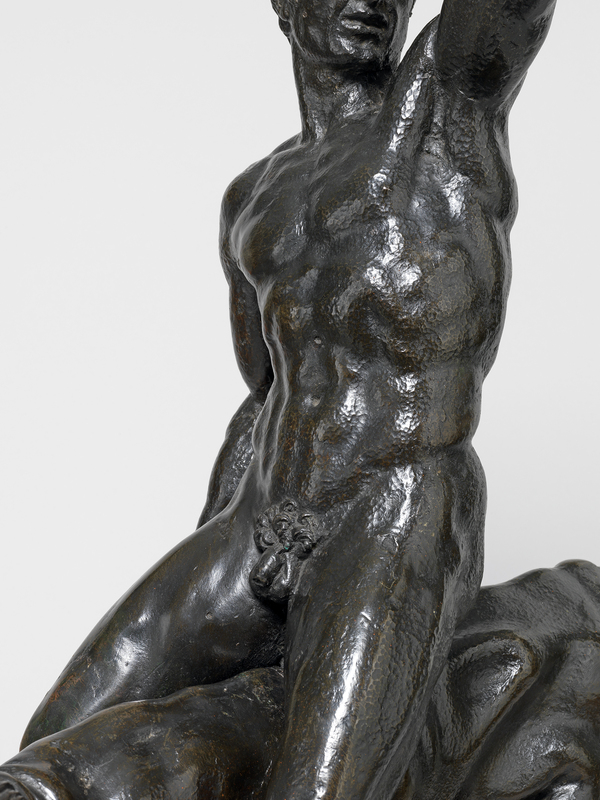 The bronzes were compared with other works by Michelangelo and found to be very similar in style and anatomy to his works of 1500-1510; a date confirmed by the preliminary conclusions of initial scientific analysis. Interdisciplinary research is continuing; the findings and conclusions of which will be presented at an international conference on Monday 6 July, 2015. It is a common misconception that Michelangelo sculpted almost exclusively in marble and never in bronze. However it is historically verifiable that he was associated with bronze throughout his 75-year-long career. Michelangelo is documented as having made a two-thirds life-size David for a French grandee, and an over twice life-size statue of Pope Julius II. Sadly neither survives – the first disappeared during the French Revolution; the second was melted down for artillery less than three years after it was made. The bronzes have gone on display in advance of the Fitzwilliam Museum’s bicentenary in 2016 and before its next major exhibition Treasured Possessions, the result of a interdisciplinary University research project revealing hidden items in the Museum’s reserves. 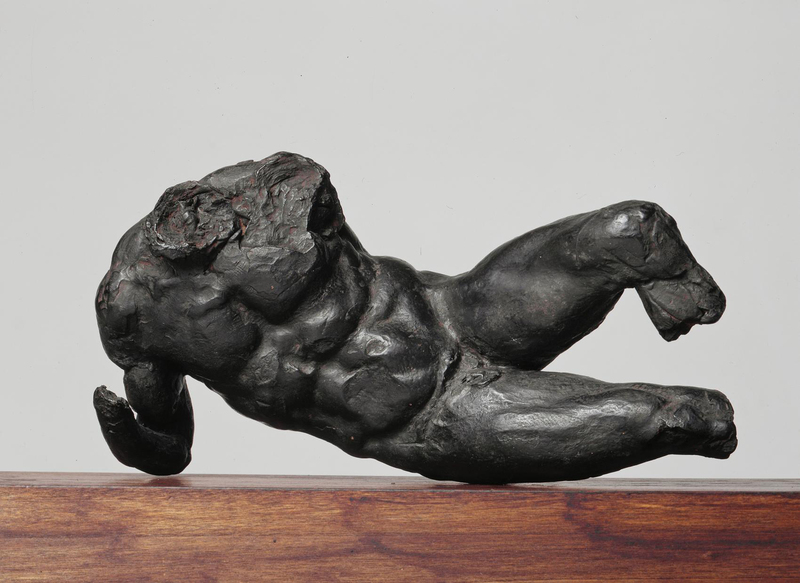 The bronzes and a selection of the evidence are now on display in the Italian galleries at the Fitzwilliam Museum, Cambridge, from February 3 until 9 August 2015. Admission to the Fitzwilliam is free.